Doctor Finlay is a British television series based on A. J. Cronin's stories about the fictional hero, Dr. Finlay. 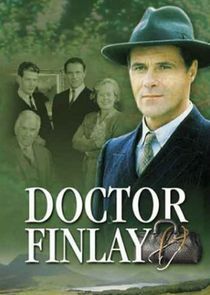 It is a follow-up to Dr. Finlay's Casebook, the successful BBC series and takes place in the 1940s after John Finlay returns from war service. Early storylines include the setting up of the new National Health Service and the modernisation of the medical practice at Arden House, Tannochbrae, Scotland. The show stars David Rintoul as Dr. Finlay, Ian Bannen as his semi-retired practice partner, Dr. Cameron, and Annette Crosbie as his housekeeper, Janet. Other central characters include Finlay's assistant, Dr. Neil, played by Jason Flemyng and Finlay's new partner, Dr. Napier, played by Jessica Turner.